Tim and I went to a fancy pen store and I fell in love with some of the pens, however for some reason all the woman's pen had either a diamond, pearl or precious stone in it. I wanted an elegant design without the bling. 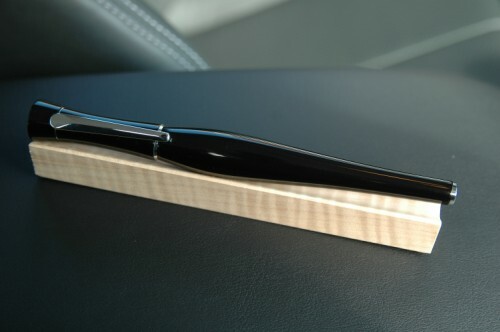 I sketched out what I wanted and Tim modified a Navigator Roller Ball Pen Kit to make me this beautiful pen. 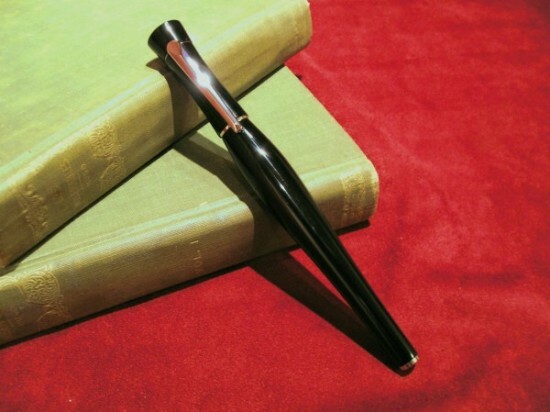 Since this pen was designed for me, it sits very comfortably in my hands. I am so lucky to have a talented husband.